Australia’s pending approval of amendments to its existing online-gambling laws that would effectively outlaw all such activity has drawn a last-ditch effort from the country’s online-poker players, in the form of an online petition its backers, the Australian Online Poker Alliance, plan to submit to Australia’s Parliament in the near future. 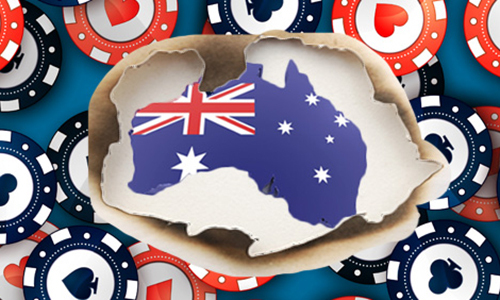 While the effort to obtain an online-poker carveout in Australia’s proposed (and likely to be approved) Interactive Gambling Amendment Bill 2016 appears earnest and sincere, it’s also likely to be an instance of too little, too late for the country’s online players. The second-largest international site previously serving the country, 888Poker, recently withdrew its services, and worldwide market leader PokerStars plans a similar exit at well. It’s also true that online poker is being caught up in the wash, or, as some claim, the pending ban is an unintended consequence of the amendments’ primary thrust, to limit offshore sports books serving the Aussie market, and to tighten several other rules related to that pastime. However, poker is viewed with a slanted eye by many of the country’s politicians, and the overreaching consequences of the bill appear no accident at all. Parliament member Alan Tudge, of the ruling Liberal-National party, introduced the amendments last November in his role as Federal Human Services Minister. Nanny-state law or not, these new online-gambling amendments were deeply negotiated among many agencies and Parliament members before being introduced. It can’t hurt to try a petition, the creators of the Australian Online Poker Alliance might reason, even if it’s not likely to help at this late date. The group has created an online presence here (that’s the group’s logo or preferred image or whatever at right), and there’s also linkage to the lengthy 2,300-word petition, which begins as follows. Online Poker is a hobby enjoyed by many thousands of Australians on a weekly basis. Recently, the Federal Government introduced the ‘Interactive Gambling Amendment Bill (2016)’ to the parliament. This is an important piece of legislation which is looking to protect problem gamblers. It is looking to offer protections by banning unlicensed offshore operators and also by clearly clarifying and defining the laws around ‘in play’ betting. This is a good initiative and something that is broadly supported by the Australian Poker Community. And on from there, with more information on such concerns as why Australians should have the freedom to play online from their own homes, and an assertion — generally backed up by several recent studies — that online poker is less addictive than other gambling forms. 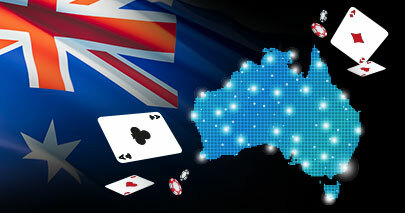 There’s also a call for Australia’s government to study and emulate other international jurisdictions that have successfully licensed online poker, such as the United Kingdom. To date, the petition has received nearly 1,700 verified signers from its current listing at survey-generation site change.org. The petition seeks at least 2,500 such signers but likely needs an order of magnitude more to generate anything more than a sniff from Parliament members, if indeed it reaches the threshold for submission.